What are some old (pre-Facebook/Youtube) Internet things that you use? Do you use the In-World Web Browser? I have been hanging out on these forums a little more as of late. I am never really sure why I stop. But I thought to keep myself engaged I would pose up some questions of the day just to get some discussions flowing. QOTD: Do you use the built-in web browser in the viewer? 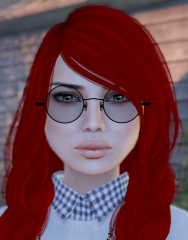 Since Linden Lab upgraded the browser engine to the Chrome Embedded Framework (CEF) the browser has been far better at page renders and the speed has increased. It's still not perfect, but greatly improved. Do you use the browser? What actions do you use it for?